Adopting a child can prove to be one of the best choices you ever made. This act is a declaration of love from both parties — birth parents make this sacrifice to ensure that their child has the best life opportunities while adoptive parents take on a new life to grow their family. Ultimately, this is done to deliver the best outcome for the child. If you are on this page because you are considering adopting a baby, congratulations! Doing so can prove to be one of the best choices you’ve ever made, and A is 4 Adoption is here to help you every step of the way! Our adoption center strives to provide the very best services for each client. 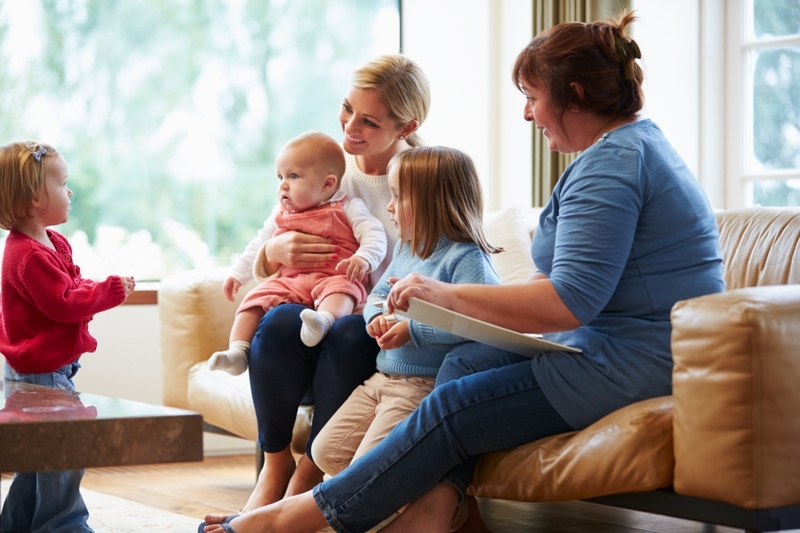 Unlike a standard adoption agency in California, our private practice delivers personalized services that provide comprehensive birth mother help, adoptive parent assistance, and everything in between. We want the very best outcome for everyone involved, and will work diligently to achieve that goal! Adopting a baby can be hugely rewarding, but it is important to remember that this is a major undertaking. 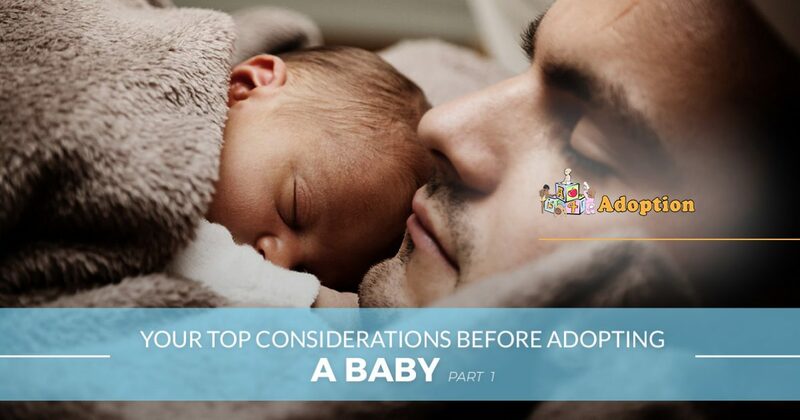 Today, we’ll highlight a few of the top things to consider before adopting a child. When you’re ready, be sure to reach out to A is 4 Adoption for unbeatable private adoption services! Home life. Home studies are needed to give professionals an accurate idea of how your household operates. This is done to ensure that adoptees are not placed into a harmful situation! Family history. Patterns of physical abuse, substance abuse, or any other red flags may impact your ability to adopt a child. Agents will be checking to ensure that everyone in the immediate family is happy and healthy. Medical history. While you may not think that your medical history can pertain to the health of your adopted child, any medical conditions within your immediate family may impact your ability to care for this adoptee. Educational background. Open adoption gives birth mothers the final say in where their child goes. You may be asked about your education and professional qualifications. Income information. Caring for a child also includes clothing and feeding them. If you are planning on going through the adoption process, be prepared to hand over bank statements and other financial documents. Employment history. Stability is important in establishing how beneficial your household can be in raising a child. A steady job history will help your cause. Personal references. The home inspection process is done to ensure that the child is placed in a safe, nurturing environment. References will often be requested to get an outside judgement of your home. Your level of preparedness through this process will help to determine if you are ready to adopt a child. Keep in mind that every process is done out of love for the child, not to frustrate those trying to navigate the steps. Adoption agencies. Public and private adoption agencies across California and beyond work within strict regulations to systematically find homes for children in need. Public processes normally benefit children who are abandoned, abused, or orphaned. Private adoption agencies work to place children often brought to them by the biological parents. Adoption attorneys. These experts specialize in adoption law and will be able to provide complete technical services to oversee your adoption. The services offered by these experts will vary, so be sure to do your research before hiring an attorney! Identified adoptions. In some cases, the adoptive parents will find a birth mother considering adoption and work with them to find an agency to help them through the process. There is no waiting list, as this is a direct adoption with the guidance of professionals. International adoptions. Adopting a child who is not a United States citizen can prove to be complicated, as laws from both countries must be satisfied. Adoptive parents can benefit from professional support to navigate these complex regulations. Adoption facilitators. As the name implies, these agents work to facilitate all of the adoption services needed for the best outcome. Many families seek out these services because facilitators such as A is 4 Adoption have the experience and training needed to optimize the process. Our services are California-bonded, and our team is here and ready to connect you with birth mothers. We have children in need, and ready to help! There are many aspects of adoption that should be considered before you make the decision. Next time, we’ll continue this topic by highlighting the financial considerations and benefits of networking to help in your quest. A is 4 Adoption is proud to be your full-service adoption facilitator, providing quality birth mother care while helping every party to ensure the best outcome for the child at the center of it all. While any adoption agency in California can help you to grow your family, our center works to reduce the anxiety and waiting and enhance your experience. Contact us today to learn more!